This one goes out to all the folks who make image macros, motivators/demotivators, MS Paint comics, or use exploitable comic templates that are not funny or make no sense. 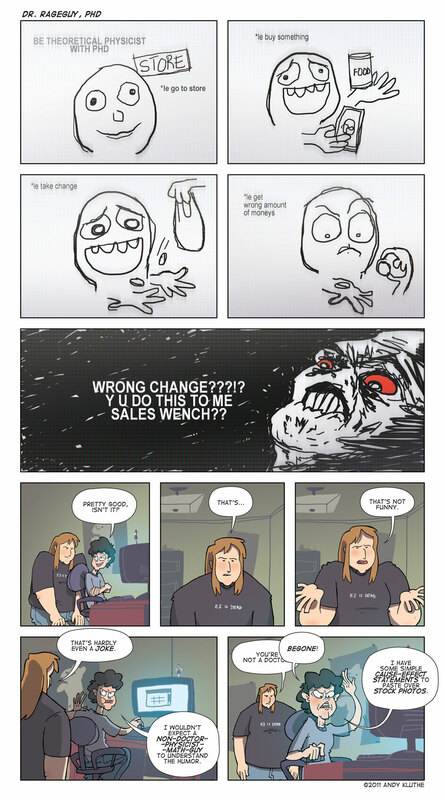 And yes, I'm well aware rageguy didn't appear in the comic. And the irony of making a rage comic about rage comics.